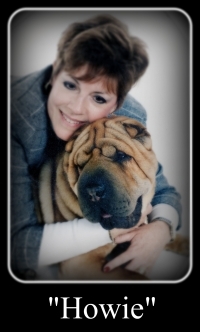 Please Scroll down the page to see all of the special dogs that have gone on to the Rainbow Bridge before us. 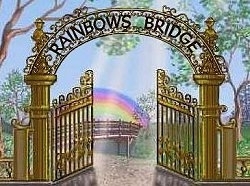 there is a place called Rainbow Bridge. The sad part about having our wonderful companions is that we out live them. "What we've enjoyed...we can never lose. becomes a part of us"
All of these beautiful dogs are very special to us, none more than the other. It will truly be a wonderful day when we meet them at the bridge someday!! We are do proud that Petrovich is the father of 2 DeSagres Litters! 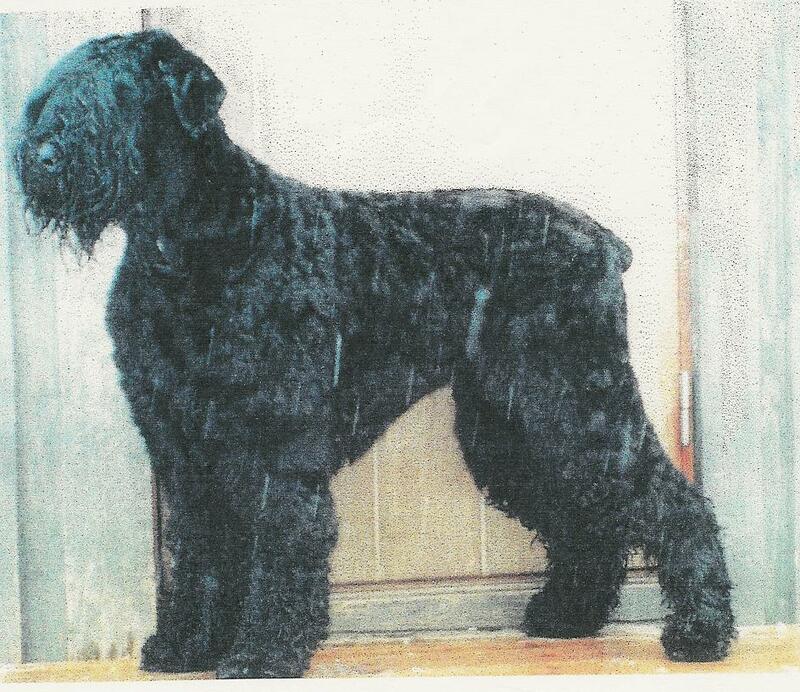 "Marley McCormick" went over the "Rainbow Bridge" yesterday. She had been ill for several months with periods of doing better but the vets could never really pin down what was wrong. 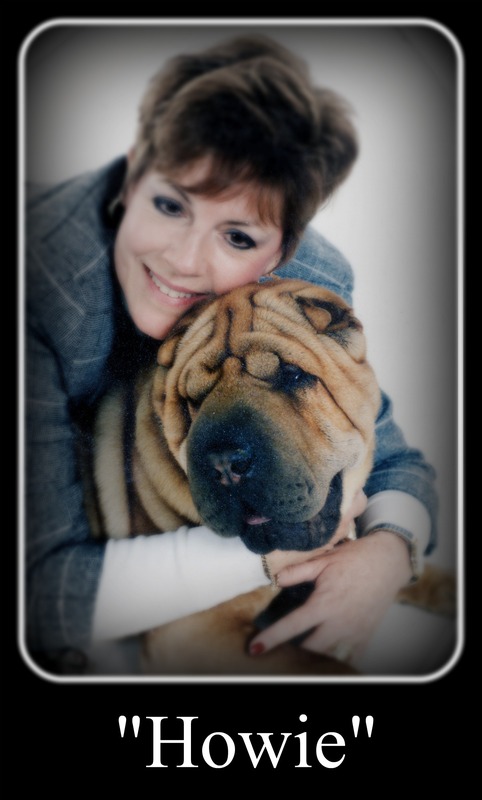 After many painful episodes Allison and Doug decided it was best to say a "tearful goodbye"
It is hard to express the sadness we feel at the passing of this very beautiful sweet girl. 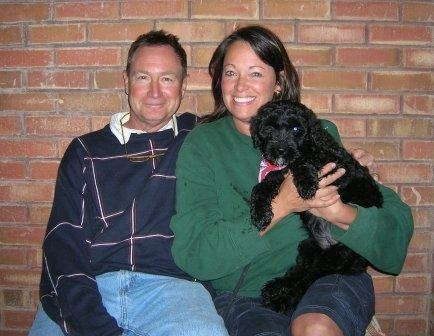 We want to thank Allison and Doug McCormick for being such wonderful "parents" to Marley. BIS Ch Aristes Double Axle Trio "Sergei"
He was our first Black Russian Terrier. and always up for a walk or a dog show or just hanging out with us. we picked him up at the airport in Denver. He was a quick learner in class and loved to show for me! ..
with a look of "Hey, Everybody! Look, I'm with my MOM!" His one and only mate was our precious Alina. They were together constantly from the day she entered the house. She loved him too! They had one beautiful litter of puppies. We have one with us. than anything else. I will add more pictures as I find them. this wonderful boy for us. We will always love and miss you dear "Sergei"
Sergei was a Tuuz and Tanya puppy. what it means to lose you, no one else will ever know. 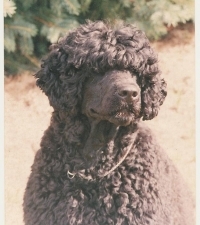 I Would Walk Right up to Heaven and Bring You Back Again"
"Howie" was our first Show Dog and our introduction to the world of Showing Dogs... or should I say the addiction! "HOWIE" died much to early in his life. Thank you Troy (Cashman) for breeding this wonderful boy. 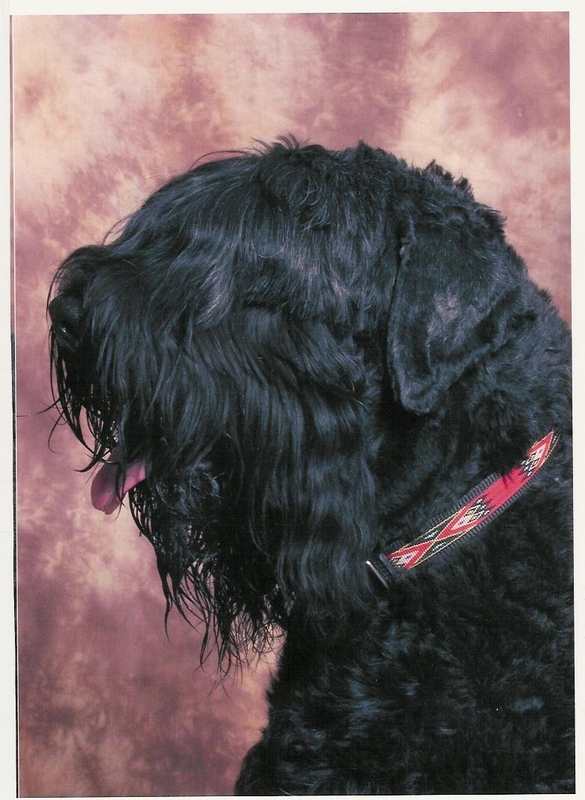 "CRUZ" was our first Portuguese Water Dog. What a handsome proud dog he was! We played ball on the stairs of the building during lunch... after 3 or for time of me throwing the ball down the stairs... Cruz would look up at me as if to say "Mom! Don't you know another game?!" We love and miss him so very much even now. From the poem "Funeral Blues"
Lovingly called "E", "Eleanor" and "Nor"
"ELEANOR" was the full littermate of CRUZ and just as beautiful as her brother. 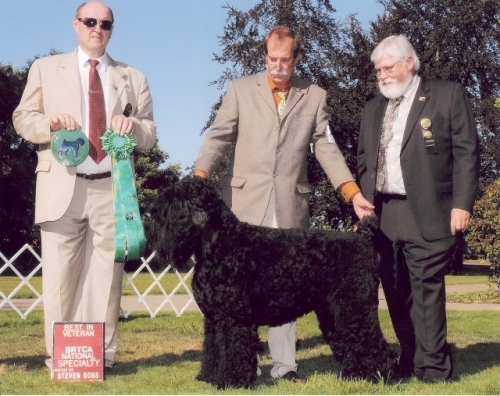 Best in Show at the PWD National Specialty! 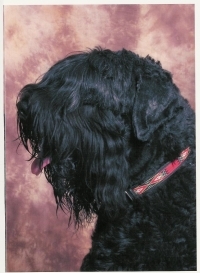 "Ch DeSagres Ride the Wild Surf"
Portuguese Water Dog in the whole world. 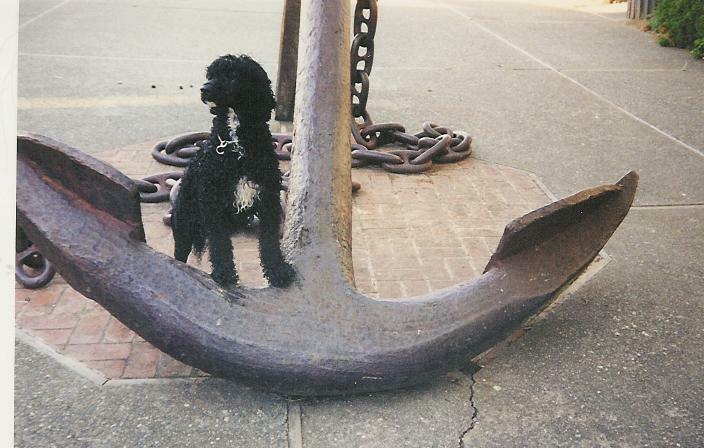 "NATALIE" was the sweetest dog we have ever had. After we retired her we sadly knew that she would be happier as an only dog where she could be pampered like the Princess that she was. At 5 years old she went to live with Sandy and Bill and had the most incredible life. Thank you Sandy and Bill for being wonderful "parents" to our "Natalie"
Lovingly called "Lina" and "The Empress"